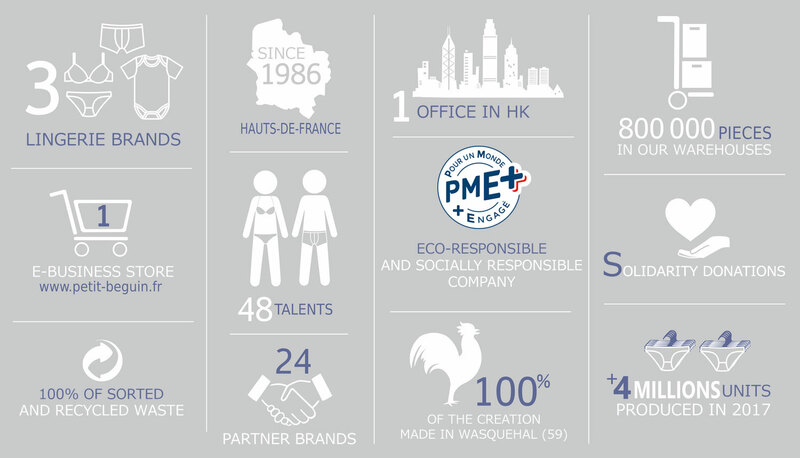 Founded in 1986 by Philippe Cornillot, its current CEO, PMC Lingerie has over the years become a key player in the distribution of lingerie to retail chains. PMC Lingerie creates and distributes three brands (Envie de Lingerie, Mojito Lingerie and Petit Béguin) and also manufactures products under private label. Over the years, through a strong desire of its CEO, PMC Lingerie relies on strong values that are turned towards Performance, Management and Communication.